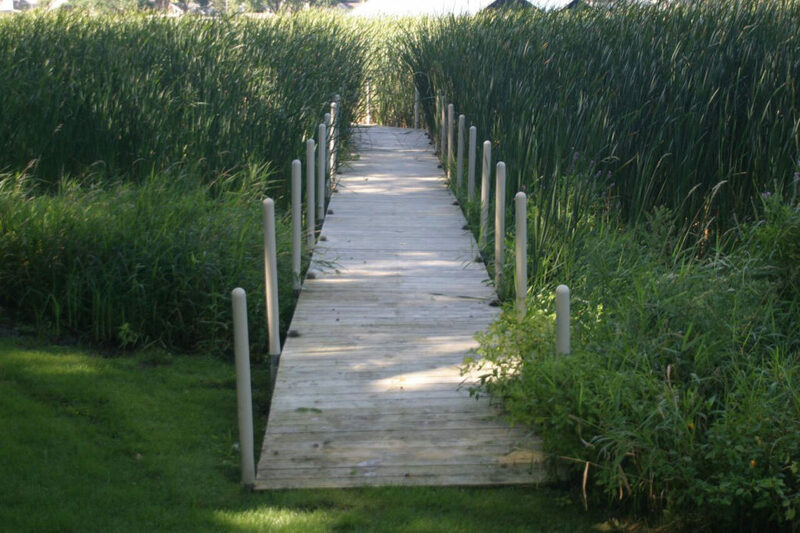 The Galv-A-Dock system allows you to turn a wetland area into a useable trail for pedestrians, golf carts, bicyclists and ATVs, allowing them to cross to higher dry ground. The Galv-A-Dock 5′ wide platforms are compliant with the ADA (Americans with Disabilities Act) requirements. 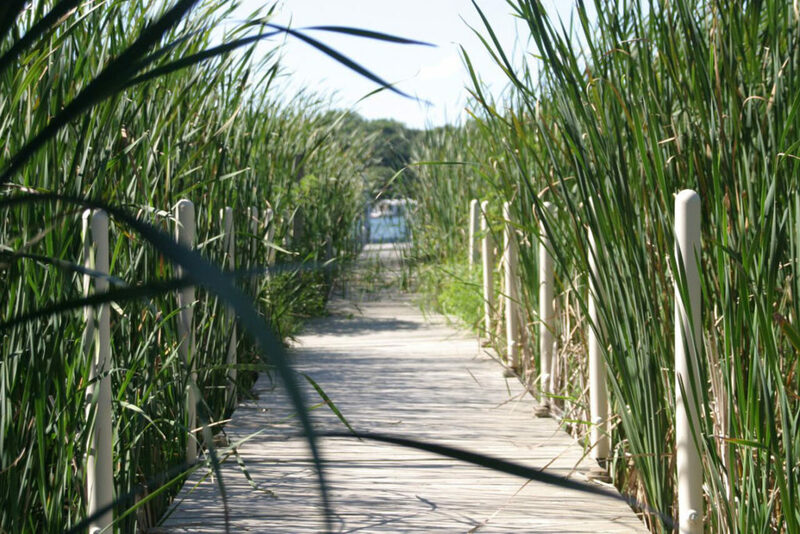 The Galv-A-Dock system is in compliance with Minnesota Department of Natural Resources regarding the amount of alteration to the natural subsoil and vegetation. The Galv-A-Dock prefabricated steel framework has a width of 5’2″ by 8′ long, with the ability to adjust the final platform to a length of less than 8′ to fit the desired ending point. The Galv-A-Dock steel framework and decking has adequate load capacity for most multi-use activities and applications. The 5′ wide by 8′ long Galv-A-Dock platform consists of old-growth western red-cedar or a one-piece molded plastic decking, (available beige or white) supported by the galvanized framework pipe. The lifespan of the hot-dip galvanized structural steel when submerged in water is greater than 53 years and out of water for over 100 years. Data supplied from (The American Galvanizers Association). Over its lifetime, the cost per 5′ wide Galv-A-Dock platform is more economical than traditional surfaces or hardscapes that require a solid sub base. The Galv-A-Dock pre-fabricated, galvanized steel components and decks reduce the on-site installation time of the walkway and the reconstruction of the area surrounding the newly installed walkway. The Galv-A-Dock modular system is designed and constructed to meet your specific layout needs, with minimal alteration to the environment. 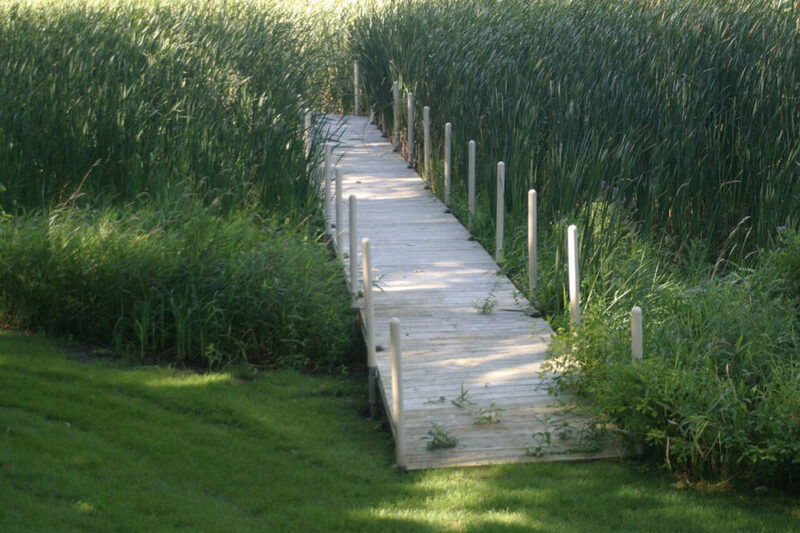 If settling happens in future years from freeze or thawing effect over the winter, Galv-A-Dock is easy to adjust and relevel the walkway, because of its telescoping framework pipe sytem. 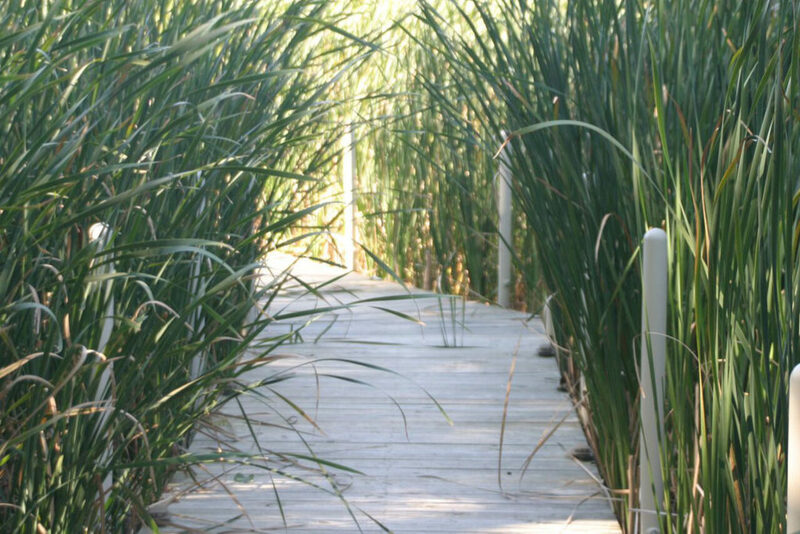 The Galv-A-Dock has unlimited uses for different environments, such as wetlands, marshes, and sedge meadows.